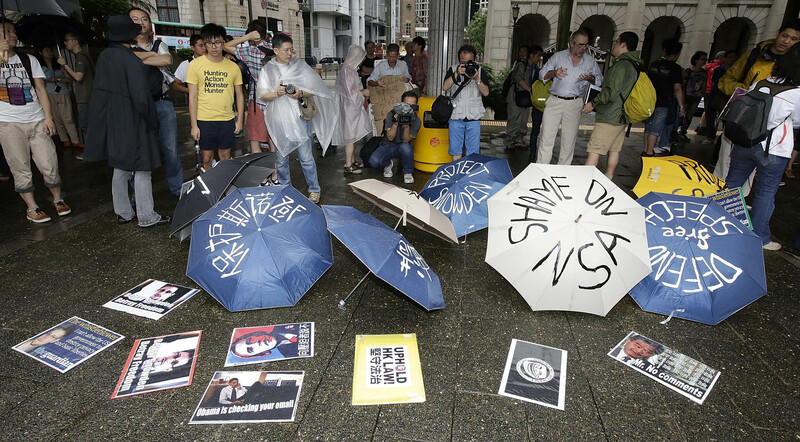 It looks like Edward Snowden may not be so down-on-his-luck after all. As of Friday afternoon, the fugitive ex-government contractor has been granted asylum by, not only one, but three countries. Both President Nicolas Maduro of Venezuela and Daniel Ortega of Nicaragua made the asylum offers in separate speeches in their respective countries on Friday, while Bolivia came forward on Saturday. President Ortega told a gathering in Nicaragua's capital: "We have the sovereign right to help a person who felt remorse after finding out how the United States was using technology to spy on the whole world, and especially its European allies." "We are an open country, respectful of the right of asylum, and it's clear that if circumstances permit, we would gladly receive Snowden and give him asylum in Nicaragua," he added, although he didn't explain exactly what those circumstances would be. The Venezuelan president was less oblique about his offer, however. "As head of state, the government of the Bolivarian Republic of Venezuela decided to offer humanitarian asylum to the young American Edward Snowden so that he can live...without persecution from the empire," said Maduro. He also passionately defended the whistle-blower and condemned the United States. But critics were quick to suggest that Maduro's move may have just been distraction tactic, to pull citizens' attention away from the increasingly bleak economic situation the country is facing. "The asylum doesn't fix the economic disaster, the record inflation, an upcoming devaluation (of the currency), and the rising crime rate," Henrique Capriles, the Venezuelan opposition leader, said in his Twitter account. Bolivia is the most recent of the countries to make this decision: President Evo Morales said Saturday that he would grant asylum for Snowden "if requested", Reuters reports. But these offers also came right after UNASUR—the Union of South American Nations—convened to express its rage at what it called the "unjustifiable" treatment of the Bolivian president, whose plane was diverted on Wednesday because of suspicions that Snowden was on board. Members of UNASUR saw the actions as an expression of American hostility, although the U.S. has declined to comment on its involvement. Coincidence? Nonetheless, it's not obvious yet how (and even if) Snowden will be able to get to either Venezuela or Nicaragua, and so these offers may be more for show than for real. According to the WSJ, a U.S. official has said that "it's not clear as a practical matter that will have any effect, because Snowden would still have to get to Venezuelan territory." For now, the fugitive is reportedly still holed up in the transit lounge of Moscow's International Airport, but he's also sent out asylum requests to another six countries, who "will not be named at this time due to attempted US interference."